In all the 6,000 years that the Children of Lilith have walked among us, there has never been an UNWILLING vampire... until now. Carl Morgan has lost everything. His wife and children were killed in a senseless accident. Then he witnessed the murder of his sister at the hands of a beautiful and mysterious woman named Rebecca. When the police cannot locate the killer, Carl t In all the 6,000 years that the Children of Lilith have walked among us, there has never been an UNWILLING vampire... until now. Carl Morgan has lost everything. His wife and children were killed in a senseless accident. Then he witnessed the murder of his sister at the hands of a beautiful and mysterious woman named Rebecca. When the police cannot locate the killer, Carl takes matters into his own hands. But his search for justice costs him everything he holds dear. Carl is unknowingly transformed into the world's first and only unwilling vampire. He is cut off from the light, damned to an eternity of darkness, barred from Heaven and any hope of a reunion with his family. Moira MacDonald, a repentant vampire, has roamed the earth alone for centuries seeking redemption. The very existence of an unwilling vampire, something she thought impossible, changes everything. Has she finally found a path to redemption... and an end to her loneliness? To ask other readers questions about The Unwilling, please sign up. First of all, let me say that I actually have the Kindle edition, not the paperback, and I would give this book 3.5 stars if the rating system allowed. The book begins with a depressed Carl Morgan getting a phone call from his delinquent sister Juliet claiming that someone is going to kill her. Carl goes to pick her up from a bar and witnesses her murder at the hands of a mysterious, compelling woman named Rebecca. Carl of course can't let his sister's killer go unpunished and infiltrates her cul First of all, let me say that I actually have the Kindle edition, not the paperback, and I would give this book 3.5 stars if the rating system allowed. The book begins with a depressed Carl Morgan getting a phone call from his delinquent sister Juliet claiming that someone is going to kill her. Carl goes to pick her up from a bar and witnesses her murder at the hands of a mysterious, compelling woman named Rebecca. Carl of course can't let his sister's killer go unpunished and infiltrates her cult to try to gather enough evidence against them to go to the police. Most of Carl's experiences infiltrating the cult are either mentioned in conversation or shown in flashbacks, which I think might have been better if they had been told as part of the main story. Lots of times the flashbacks interrupt conversations, which I found a little disconcerting. Anyway, in the process of discovering the cult's secrets, thinking the members are all insane, Carl is unwillingly converted into a vampire. He wakes up in a strange house and is given the tutorial about vampires by Moira MacDonald, a centuries-old penitent vampire who has given up killing. I enjoyed learning about the vampire lore of Mr. Belt's universe, particularly the way that vampires were drawn to kill evildoers for the purpose of denying them the opportunity to repent. It was a breath of fresh air to read about the kind of restraint Moira and Carl exercized in not killing criminals instead of the typical vigilante justice that is popular in movies, TV, and books nowadays. I also loved Carl's discovery of his "tactile telekinesis." It made me realize that a lot of extraordinary situations with superheroes and their superstrength in the media are actually defying the laws of physics, and I liked seeing that Mr. Belt had really thought out his explanation of the vampires' abilities. I think it takes a special kind of author to write a book about an LDS church member who becomes a vampire. I know I was surprised when I read the plot summary. I think this book would also be best enjoyed by people like me--Mormons who are also interested in vampires--because there were a lot of references to church culture that probably would go right over the heads of non-members. One thing that surprised me a little for a book by an LDS author was the...kinkiness, for lack of a better word...of the cult members' activities--specifically Michael's abuse of Benjamin--though there was nothing explicit. I can see that it was probably necessary to mention in order to illustrate the evil of the cult and Michael in particular, but it made me a little uncomfortable. I am reviewing a copy I received from the publisher. Good story, I liked the ending and I'm looking forward to reading the sequel. I would have liked to give it 3 1/2 stars because I'm a little ambivalent about it. I liked it, but I'm not crazy about it. The police are unable to bring the murderer of Carl's sister to justice so Carl infiltrates the vampire cult himself seeking justice. He doesn't believe in vampires and believes it is all part of a Goth fantasy, until he finds himself changed. Bu I am reviewing a copy I received from the publisher. Good story, I liked the ending and I'm looking forward to reading the sequel. I would have liked to give it 3 1/2 stars because I'm a little ambivalent about it. I liked it, but I'm not crazy about it. The police are unable to bring the murderer of Carl's sister to justice so Carl infiltrates the vampire cult himself seeking justice. He doesn't believe in vampires and believes it is all part of a Goth fantasy, until he finds himself changed. But a very important step has been skipped, Carl did not willingly become a vampire. Horrified and unwilling to kill to survive, Carl flees the cult and is found by Moira, a repentant vampire who teaches Carl what he needs to survive. But there is an interesting twist, Carl is a practicing member of the Church of Jesus Christ of Latter-day Saints -- a Mormon. Can God forgive him for becoming a vampire? Is his soul lost forever? And can Carl and Moira destroy the vampire cult? It is a story of choices and redemption and my favorite character is actually a very minor character -- Ben. Ben is a slave boy who's been turned by his Master and is trapped in slavery as a vampire forever. I love this book. The twisted world of the vampire cult Carl (the main character) infiltrates to find his sister’s killer is openly dark and honestly horrifying. The story follows strong themes of agency, power, temptation, love, and redemption. It made for deep thinking about evils that plague our real world and how one goes about restoring hope, security, and goodness where it is seemingly bereft in the lives of truly tortured and potentially dangerous individuals. Carl’s LDS background and con I love this book. The twisted world of the vampire cult Carl (the main character) infiltrates to find his sister’s killer is openly dark and honestly horrifying. The story follows strong themes of agency, power, temptation, love, and redemption. It made for deep thinking about evils that plague our real world and how one goes about restoring hope, security, and goodness where it is seemingly bereft in the lives of truly tortured and potentially dangerous individuals. Carl’s LDS background and convictions to stay true to his faith despite his unwilling damnation (when he becomes a vampire) was a dynamic I really enjoyed. Carl and Moira are both strong characters, battling darkness within and without on a journey full of twists and turns, both bitter and sweet. 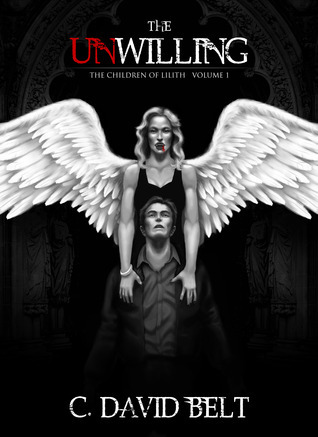 I was swept away on this dark, suspenseful adventure to save Salt Lake City from the nefarious Children of Lilith. This is a gem of LDS horror fiction. I found it both entertaining and deep. This is a MUST READ kind of book. Though at first glance this appears to be yet another entry in the "sparkling vampires are the good guys" kind of book, this is NOTHING of the sort. In this story vampires are shown as wholly depraved creatures that can show themselves to others as beings of light to deceive and corrupt. This conception of vampires was brilliantly wrought with fidelity with Mormon theology. Don't get me wrong, however, you don't have to be Mormon to appreciate this story. What I This is a MUST READ kind of book. Though at first glance this appears to be yet another entry in the "sparkling vampires are the good guys" kind of book, this is NOTHING of the sort. First of all, a refreshing view on vampires! They're evil, like in the good ol' times(not as creepy in a classic way, like Dracula, but still evil). And they chose to be that way. Most of them, anyway. Not to give too much away, - choices and agency are critical elements in any situation and it doesn't matter where you are in life, whether you're a bad guy or a good guy. What you choose to do about it is what you will be in the end, and this book shows that perfectly. Everybody knows that being tr First of all, a refreshing view on vampires! Everybody knows that being true to yourself and fighting for the right thing is not always easy, but that's what the main characters need to do and it's enthralling to read about their battle with evil. This was a book that was really to get into. I liked the last half better than the first half, I think everything in the first half just moved to quickly. I wish there would have been more information and description on how changing to a vampire changed the person's appearance if any. I thought it was really fun to read a Mormon vampire book though. I will for sure look into reading the rest of this series. I LOVE this book! It was an impulse buy when I ran into the author in the mall around 1 AM on Black Friday, and that was a decision I will never forget or regret! My favorite thing about this book is how true to character it stays. Vampire and LDS are not two cultures I ever expected to be combined in a story, but the actions and reactions play out so beautifully, it feels like how things would ACTUALLY happen if the circumstances were to arise. I absolutely loved this book! It has the traditional vampire with a little different spin on it that makes sense and it goes into more detail about what a vampire is and how they really become a vampire. It has great detail. It's a great story of self-mastery, agency and living with the choices that are made, and true, unconditional love. What an incredible battle of good vs. evil! By the end of the book, I decided it was a decent read, but boy, it was a rough start. I almost put the book down for good on page 10, and again every 10-15 page until around page 90. Why? First of all, the writing itself was . . . not good. I can't put my finger on precisely why, but it had a rough, amateur feel that kept me from getting into the story instead of skimming the surface. Fortunately, the writing got better farther down the road. While I hesitate to call it good, it at least was no By the end of the book, I decided it was a decent read, but boy, it was a rough start. I almost put the book down for good on page 10, and again every 10-15 page until around page 90. Why? First of all, the writing itself was . . . not good. I can't put my finger on precisely why, but it had a rough, amateur feel that kept me from getting into the story instead of skimming the surface. Fortunately, the writing got better farther down the road. While I hesitate to call it good, it at least was no longer distracting. Second, the author has an obsession with italics for emphasis. There's probably an average of ten per page, and the italics are often so prevalent that it makes the entire book seem overdramatic. This does NOT improve throughout the book. Third, until the aforementioned page 90 (or roundabouts), there wasn't really a plot. There was an introductory chapter or two, then a whole lot of exposition. He did good by breaking up the info-dump with flashbacks, but it was too much, given mostly in boring, somewhat repetitive conversation between two characters I hadn't had time to care about. After I dragged myself past all that, I found a decent three-part plot and started to get into it more. Part A: an uneasy alliance with an evil vampire to stop an even more evil vampire. Part B: stopping criminals from doing evil, and trying not to draw police attention at the same time. Part C: Carl's relationship with Moira. But while I found all three parts entertaining in different ways, lots of little details would trip things up. Moira turned out to be a Mary Sue (a character who is absolutely perfect in every possible way, especially as a romantic interest to the main character). I know, I know. She has a "dark past" and wasn't always a good vampire. But by the time Carl meets her she's an absolute saint who just happens to drink blood. The detective plot was too implausible (he stumbles onto the existence of vampires much too easily, with too little evidence, and - unlike in CSI - it takes several weeks to get back DNA evidence results, not one day), and the stuff with Rebecca was often head-slappingly stupid. The need for battle plans seems ridiculous when Rebecca could simply wait for a day when she's on guard duty then walk in and kill Michael while he's sleeping. On top of that, in the beginning Rebecca is smooth and dangerous. Before long she's just impotent in every way and prone to throwing tantrums - complete with foot-stamping. There a dozen other details I could nitpick, but those are the main issues I had. As for the ending, I won't spoil it, but there were some high points, some low points, and some just plain "why?" moments, among them the most pointless death I've seen since Hedwig in Harry Potter and the Deathly Hallows.